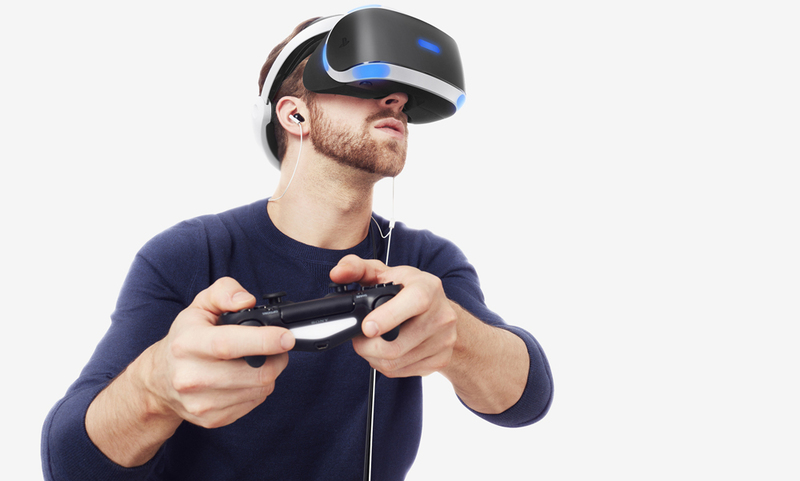 Sony’s PlayStation VR platform will hit retail in just over one week. Review embargos lifted earlier today with the general consensus being that, while it’s not as powerful as the HTV Vive or Oculus Rift, it is easier to use and cheaper. The one equalizer, however, could be Sony’s stable of upcoming games and apps. We’ve seen incomplete lists before but on Wednesday, SIEA Social Media Director Sid Shuman published a complete list of around 70 launch day (and beyond) titles. 100ft Robot Golf, Ace Banana, Batman: Arkham VR, Battlezone, Bound, Driveclub VR, EVE: Gunjack, EVE: Valkyrie, Harmonix Music VR, Hatsune Miku: Project DIVA X, Headmaster, Here They Lie, Hustle Kings VR, Job Simulator, Keep Talking and Nobody Explodes, Loading Human, SportsBar VR, Super Star Ultra VR, PlayStation VR Worlds, Rez Infinite, RIGS Mechanized Combat League, Rise of the Tomb Raider: Blood Ties, SUPERHYPERCUBE, The Assembly, The Playroom VR, Thumper, Tumble VR, Until Dawn: Rush of Blood, Volume: Coda, Wayward Sky, World War Toons, Allumette, Hulu, INVASION!, Kismet, Littlstar VR Cinema, Vrideo and Within. The rest of the games in the list including Star Trek: Bridge Crew, Moto Racer 4, Resident Evil 7: biohazard, Weeping Doll and Star Wars Battlefront Rogue One: X-wing VR Mission are all set to arrive sometime between launch and Q1 2017.